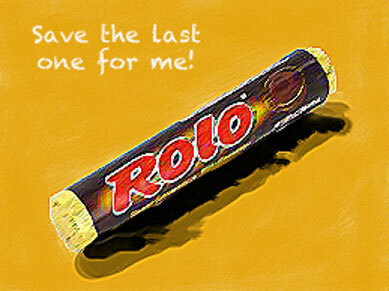 The Shame of the Samosa Queen… or do you love anyone enough to give them your last Rolo? Every Tuesday morning my neighbour starts cooking and I try to think of reasons to stay home. The smell drifts over the garden wall and I get hungry just thinking about what she’s mixing up in her kitchen. She makes the best Samosas in the world. “I’m making Samosa’s. Would you like one?” she asked. She turned and went back into the house. I wiped the drool from my face, mentally urging her to hurry up! “My wife makes them very hot.” Her husband cautioned. He raised an eyebrow, but said nothing. I could tell from the look on his face; he doubted my brave words. Her front door reopened, and out came the magic! 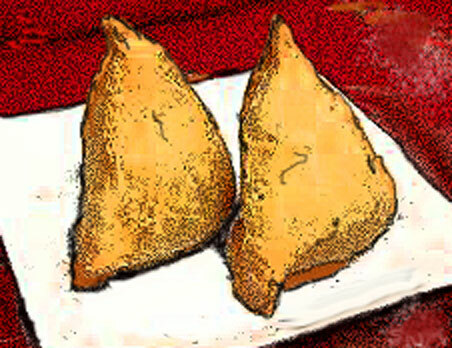 Golden triangles on a red plate, the magnificent, fragrant, delicious, large Samosas! She handed the plate to me. They both watched as I took my first bite. This isn’t so hot, I thought to myself, whilst chomping down on the golden pastry. Suddenly my eyes watered, my nose ran, and all I could do was open my mouth to let air in. Hot? There isn’t a word to describe the fire! I nodded unable to speak. Feeling let down by my body not matching my brave words, eyes blinded by tears, I stumbled back inside the house. The following week I was stepping outside my door when my neighbour opened hers and handed me a brown paper bag filled with Samosas. “Oh thank you, thank you…” I grabbed the brown bag and carefully pushed it inside my coat pocket. “I’ll save these for lunch.” I promised. The smell from my pocket was too much to resist. They were warm, spicy, and my poor English tongue was able to take this version of it. I gobbled one on the train into London. So much for my weak promise to save them for lunch! I can’t make that much of a nuisance of myself, or can I? Luckily for me my dilemma ended quickly. The front doorbell rang. It was only the Lad, who was going to do some DIY. My heart sank. What a day to have to stay home. We went into the kitchen, and I fixed the tea. We sat there smelling the hot spices drifting through the window, getting hungrier by the minute. I could have closed the window, lit a vanilla candle, anything to put those Samosas out of mind, instead we stoically sat, drinking our tea, breaking the silence with, “That smells good, doesn’t it.” He had sad little sandwiches for his lunch, ghostly white bread, butter, and paper thin ham slices of some sorts. He was about to eat it, when there was a knock at my door! I could have danced on the spot! My neighbour stood with a smile on her face, holding a large plate of hot Samosas! “For you and Terri,” she says. “Ah, yes, sure. Terri, uh uh..Thank you,” I said, trying to be as polite as I could, all the while, wanting to rush to the kitchen to eat them. Well, it’s time to confess; I have a very dear friend. Terri is amazing and will do things for me that I quite frankly don’t deserve! A friend like this comes only once in one’s lifetime. She loves Samosas as much as the next person, and friends are meant to share favourite things. Right? The problem is; she’s not here right now. She’s not due to come over until tonight. No time to waste then, the Lad and I tuck in. The slight puff of steam rose into the air as we bit into the warm Samosas. We don’t care that each one must be around 275 calories. The fried triangular pastry shell burst with spiced potatoes, onions, fresh peas from the garden, coriander and lentils with each bite! Each one was palmed sized. Suddenly, we looked at the plate and there was one left! Crumbs! I was supposed to share this with Terri. I looked at him and him me. Now in my defence, that last samosa did look…well…pathetic. Well of course, it did look pathetic after the mountain of samosas we devoured. So, carefully and with great precision, we split it into perfect halves, and well, the crime was completed. The Lad and I swore a secret pack; we would not mention the Samosas. What Terri didn’t know wouldn’t hurt her. We were protecting her after all! That’s what good friends do! Bellies full, content, top buttons undone, we were indeed that cat licking the cream off our paws. The table cleared, dishes washed up, no sign of the crime remained. If the house smelled of Indian food, I could explain that away with– I left the window open and my neighbour was cooking today. Ah, life was good. The Lad left, and I sat down to look over the days work, belly full, and content. I had a good four hours to digest my crime before Terri was due over. Suddenly I heard talking. Bit early I thought. I sprang up and went to my front door and pressed my nose to the frosted glass, Crumbs it was Terri! She was talking to someone on the front path! Maybe she was talking to my neighbour? I rushed to the front room and peered behind the net curtains. It was the Lad! She hugged him goodbye and I hurried back to the front door, opening it with a wide smile! “How could you?” Terri asked, handing me fresh vegetables from her garden for dinner tonight. “Well, not quite massive,” I replied sheepishly, mentally tallying up how many the Lad ate and how many I devoured. Perhaps enough Samosas for four men, certainly not what you would call a massive amount. I told her what happened, how we lost our senses, and besides which, the lad was a growing boy. Well, I suppose I should tell all the truth. He was a strapping lad of twenty, working manual labor all day, and needed to eat. Sounds good, but how do you explain that he had to keep pace with me devouring those samosas when all the manual labor I do is pound the typewriter keys? Better left unsaid. The next day my neighbour stopped me as I was heading to town. 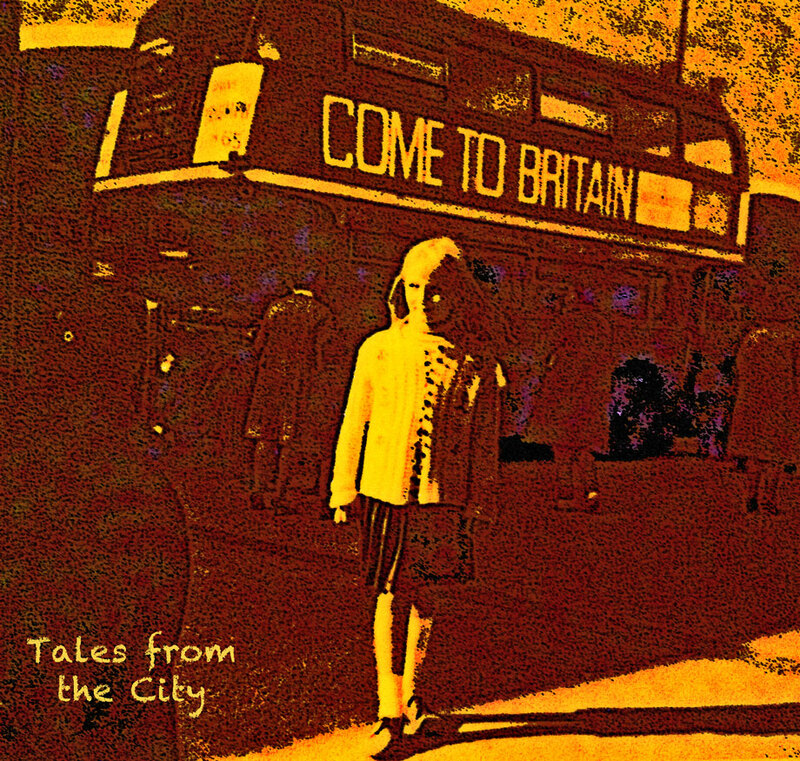 Gallery | This entry was posted in England and tagged England, History, India, Indian cuisine, Photography, ROLO"S, Rowntrees, Samosa, San Francisco, Tales From The City, travel. Bookmark the permalink. Oh, boy. I should not have read this before I was about to make dinner. Now my meal will look horribly drab next to those lovely Samosas! Yum… piping hot samosas. mmmm! Here’s a confession, Susan: I would eat that plate of samosas before anyone got to them. At least you shared yours with the Lad! Kate sent me here to be taunted by both samosas and Rolos? She is very cruel. I haven’t a neighbor to make them for me, but the lovely proprietor of the nearest Indian restaurant already thinks we have parties every Saturday based solely on our take-out order. He would very likely cut me off completely if he knew it was just for my husband and I.